A detachable windshield gives you the freedom to define your ride at the drop of a hat. Ride across the country protected from the elements, then quickly remove the windshield to hit the streets in style. 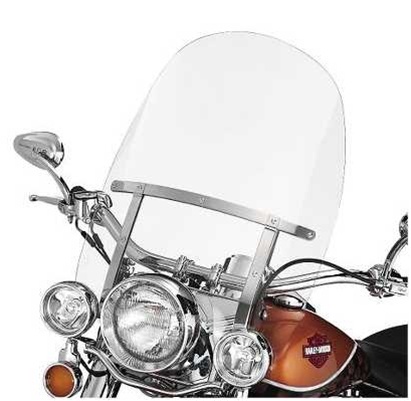 Replace the original windshield with a screen sized to improve wind protection. Uses your existing mounting brackets and hardware for an easy, economical conversion. Designed to be installed or removed without tools in seconds. 23" High. Clear. Harley-Davidson®. USA made. 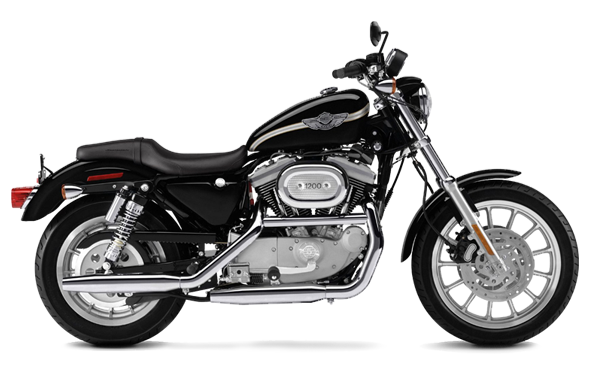 Fits '86-later FLS, FLSS, FLSTC, FLSTF, FLSTFB and FLSTFBS, '06 FLST and '93-'96 FLSTN equipped with a H-D® Detachables™ King-Size Windshield. Does not fit Springer™ models. Fits '86-later FLS, FLSS, FLSTC, FLSTF, FLSTFB and FLSTFBS, '06 FLST and '93-'96 FLSTN equipped with a H-D® Detachables™ King-Size Windshield. Does not fit Springer™ models.